Findlay City Guide Resides Here! Home » News » Findlay City Guide Resides Here! When graf-X-cape and Watchtower IT Services realized that we needed to create an online presence for the growing publication, “Findlay City Guide,” we knew there were several options – but building a website from scratch to house only a quarterly publication seemed like a misappropriation of resources. Currently, Findlay City Guide mails 10,000 copies of a quarterly magazine to select neighborhoods around Findlay and Hancock County. Findlay’s population is considerably higher (4X) than that count for distribution. It became apparent that we needed a venue to allow unrestricted access to Findlay City Guide’s local feature stories and content. We also know that Flag City Online has an established, high volume of traffic and is highly searchable. Establishing a readership for a new website takes considerable effort, and budget. There seems to be a mutual benefit from these two entities joining forces. We made a proposal, and soon a deal was struck! Findlay City Guide will be uploaded on Flag City Online for each publication and archived there for future reference. 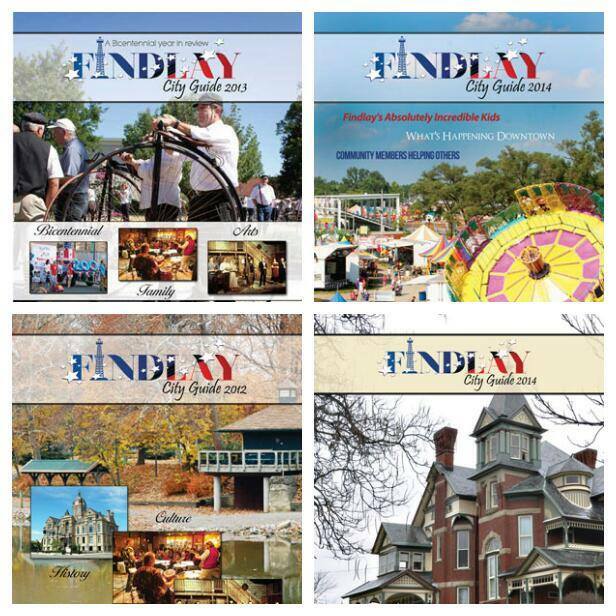 Findlay City Guide magazine now graces the pages of the areas favorite online directory that has been a powerhouse since 2003 and relaunched, fully updated in 2015. Fully responsive. View on laptop, tablet or smart phone. Ready to be viewed page by page, swipe right or left to turn pages. Sharable! Post your favorite articles on any social media. A membership with FCO includes a full listing with options for multiple listings, couponing and special offers along with extra marketing incentives. It’s all great for SEO. Advertisers in “Findlay City Guide” can earn discounted or even FREE memberships with FCO. Just ask us how! Look for great things to come from this partnership, Flag City Online + Findlay City Guide.